If you can overcome the paranoia of your online data being collected and mined by companies like Google or Facebook, and instead focus on how it will help build better cities, maybe you will have a greater appreciation for your digital footprint and how valuable it can be. During the recent MIT Media Lab (ML) workshop, hosted by Community Jameel and Wamda, one of the focuses was ‘urban intervention with data’. 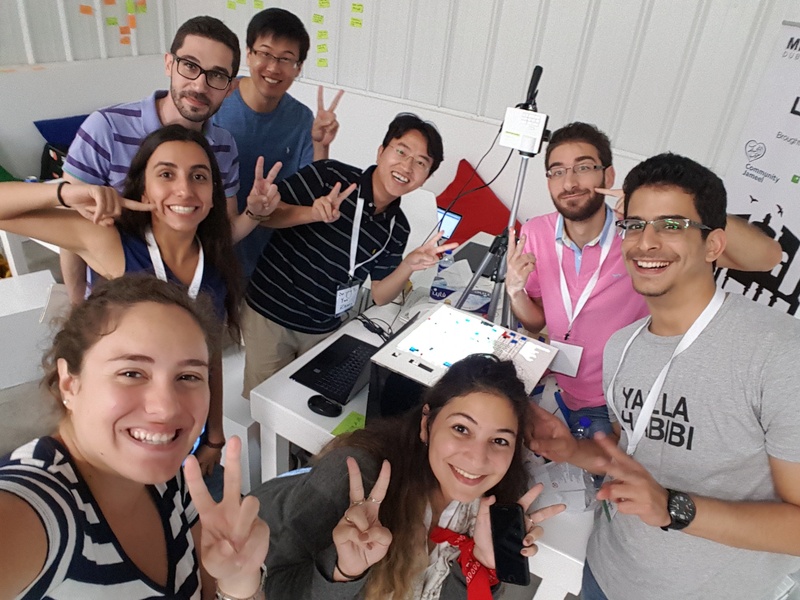 Led by Ryan Zhang, currently at MIT ML’s Changing Places Group, and Dawei Shen, a startup cofounder of Waylens in Boston, and MIT ML alumni, the team of students and professionals sought to capitalize on available data on Dubai’s residents in order to improve the city’s quality of life. As part of his work at the Changing Places Group, Zhang uses City Scope, a lego-based, tangible interface that planners can use to convert abstract information into tangible solutions for urban planning challenges. Zhang said it makes the prospect of planning more approachable. Through your movements around a city. When you use a public car service, like Careem or Uber, planners can better note where and when transportation services are used and where commuters congregate. Such data can help in street planning, for example. At the workshop, Zhang and Shen’s team had access to Careem data and Dubai e-government data on population densities and building heights. They also had information on the distribution of educational institutions in the area, parks and their capacity, available public transport services, and traffic congestion data. Through your use of social media, like Twitter. If this geotagged data is collected, it can show the area and time most people are using social media tools, helping to inform planners what is drawing people to those places and why. Planners can also determine what better lifestyle services to include in given area, how an online network of friends may influence consumer choices, and migration trends. Through your telecom data. Collecting data from your smartphone is an obviously great way to track human activity across a city. While this Dubai team wasn’t able to access this data, city planners are increasingly using such information. An example from Zhang was a project he worked on in the principality of Andorra where they used anonymous telecom data of tourist’s travel patterns to optimise business locations, predict energy consumption, and ensure evacuation traffic in potential nature disaster scenarios. Through your use of Google. Those guys are constantly collecting data with open APIs on places, facilities and traffic. They are a great, if not the greatest, source of how humans are moving around cities and online. The urban data team at the MIT ML workshop in Dubai. Once you’ve got data that has been cleansed (sorted), Shen says you should gently look for any trends or insights that might pop out. One way he does with his company Waylens is by using maps. Once data is overlaid on a map of a city, it becomes easy to see geographic patterns in human migrations. A recommended tool to the use is Mapbox. For the purposes of this workshop, there wasn’t time for “looking” at all the data but the team did look at the “community happiness indicator”. They fed the data into the City Scope and presented on the last day. See the team’s pitch below. Header image via Ryan Zhang.